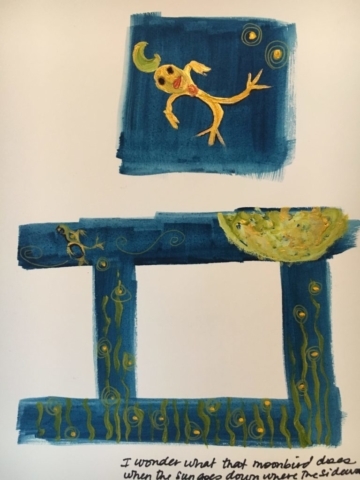 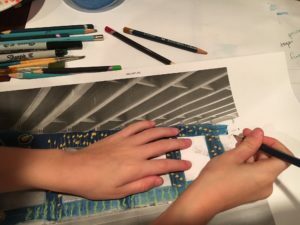 After successfully developing a series of works for Art by Two in the spring of 2016, Charity and her son Max decided to tackle a bigger project. 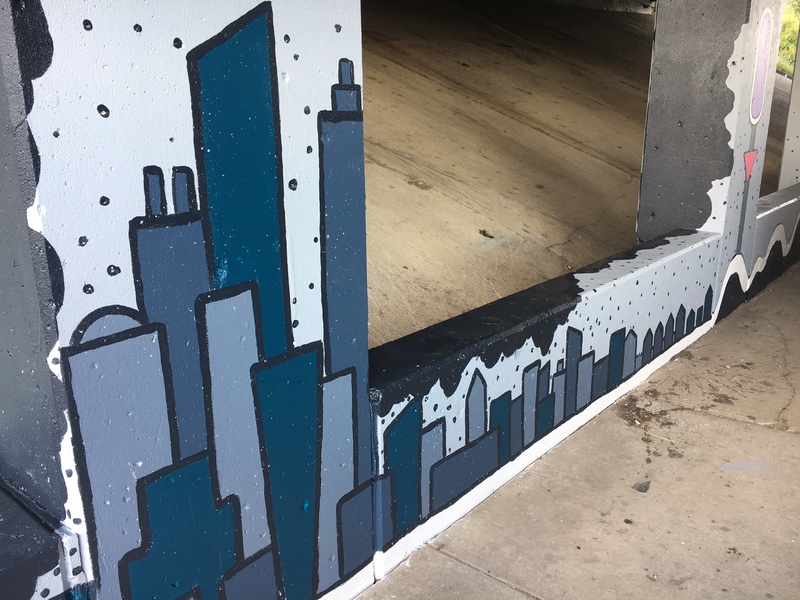 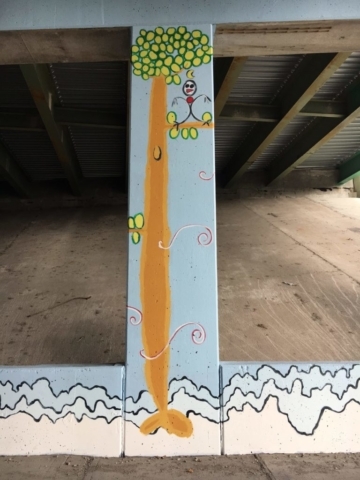 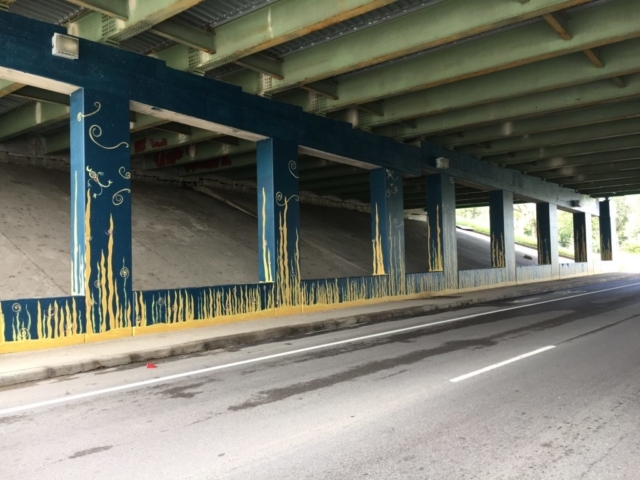 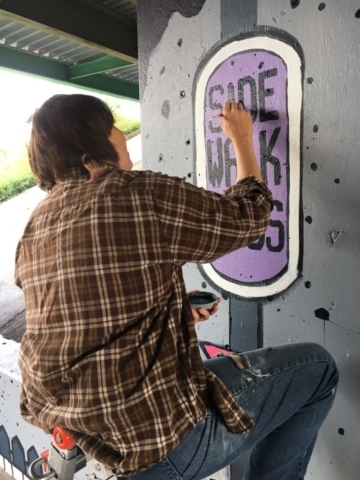 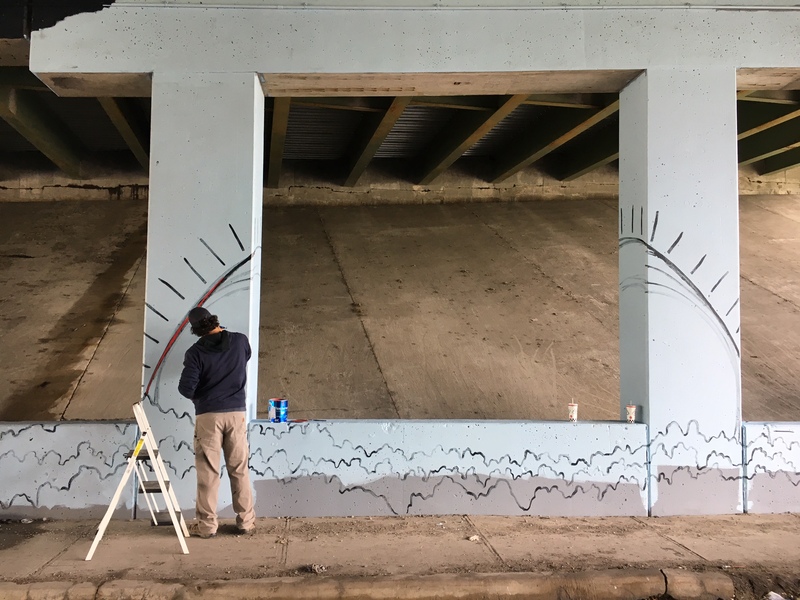 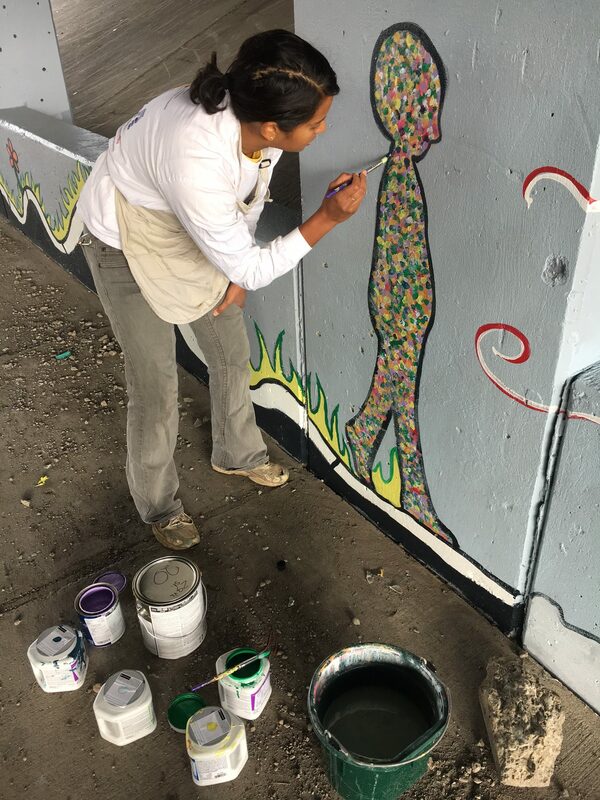 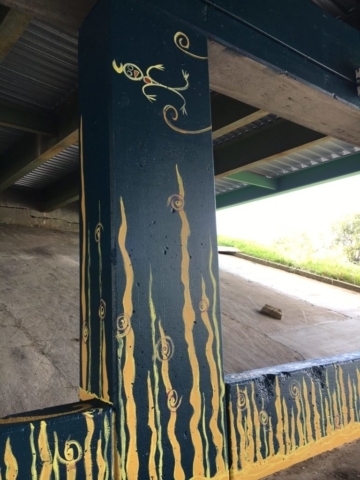 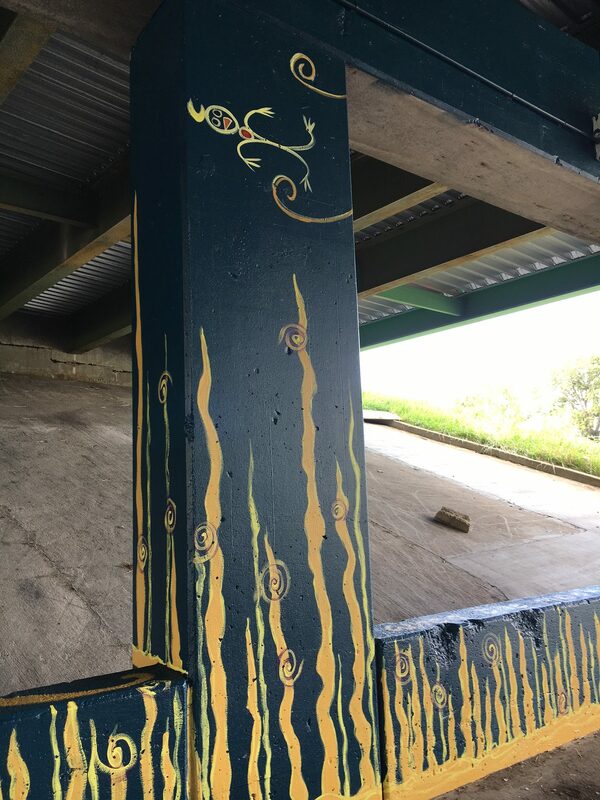 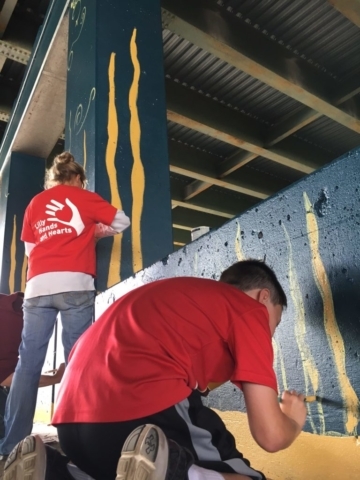 In collaboration with Keep Indianapolis Beautiful and The Children’s Museum of Indianapolis, Charity and Max developed a mural that would cover the walls of the underpass at 29th and I-65 in Indianapolis. 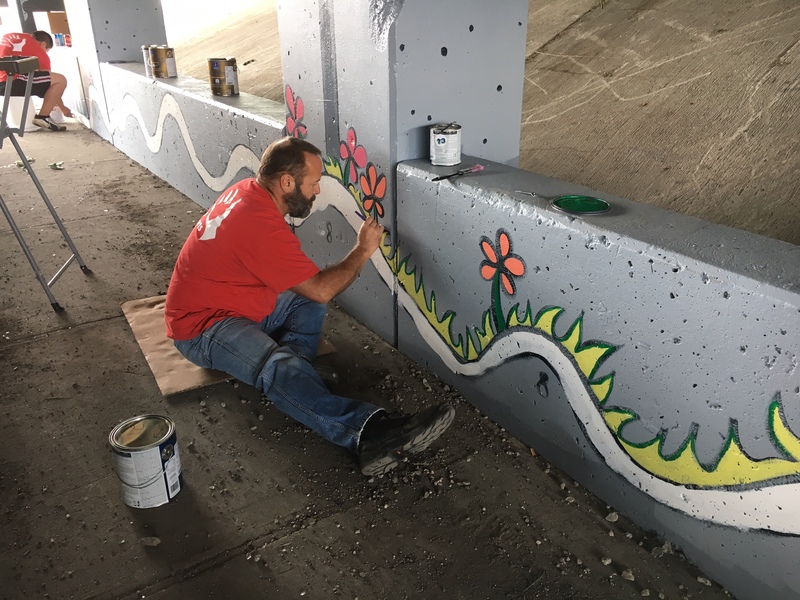 The 29th Street Mural Project was an opportunity to brighten a space that was otherwise dim, worn down, and often ignored. 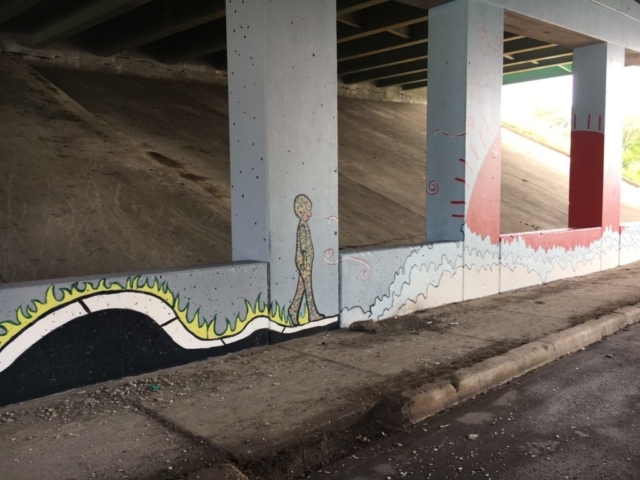 Charity and Max decided to draw inspiration for the murals (one on each side of the street) from a classic children’s poem by Shel Silverstein – Where the Sidewalk Ends. It took a team of volunteers, including staff from Eli Lilly and Company on a Day of Service, to get the job done. 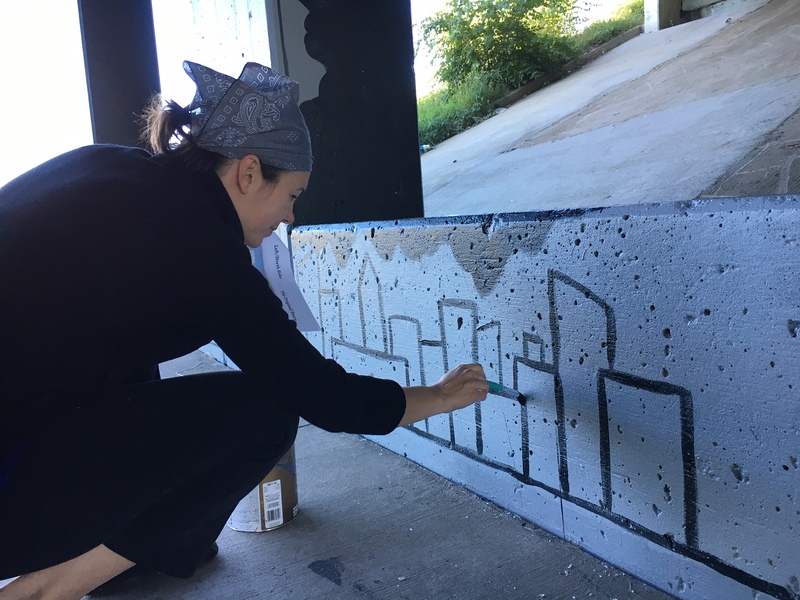 To learn more about how the mural came to be, read Max and Charity’s blog post for The Children’s Museum, The Story Behind the 29th Street Mural – Day and Night Where the Sidewalk Ends.